Youth & High School Football Programs Eligible for $1 Million in Equipment Grants. USA Football, the sport’s national governing body on youth and amateur levels, is accepting applications for equipment grants to youth, middle school and high school football programs throughout the country based on merit and need. USA Football will award $1 million in equipment grants to football programs across the United States in preparation for the 2010 season. USA Football’s grant program has assisted the youth and high school football community since 2006 and will have awarded more than $3 million worth of football equipment by the end of this year. USA Football is an independent non-profit organization and is the official youth football development partner of the NFL, its 32 teams and the NFL Players Association. Each youth league (players aged 6-14) selected for a grant receives a $1,000 package that offers a variety of football equipment to choose from. High schools receive similar packages valued at $1,500. 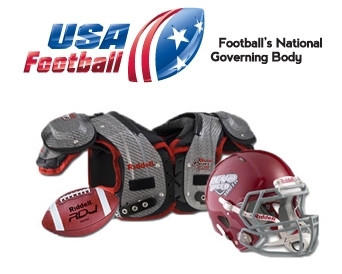 All grants are fulfilled by Riddell, the official football helmet and protective equipment partner of USA Football and its national team program. Awarded Riddell equipment includes helmets, shoulder pads, field equipment and apparel. Youth leagues and schools may submit applications through June 4, at http://www.usafootball.com/grants_and_fundraisers. Applications may be submitted online or mailed. USA Football offers innovative programs and resources to further strengthen the sport and provide players a positive football experience. The independent non-profit has members – players, coaches, youth league commissioners, and game officials – in all 50 states. More than 1.1 million high school boys play football, which more than doubles the next-played sport by this group. 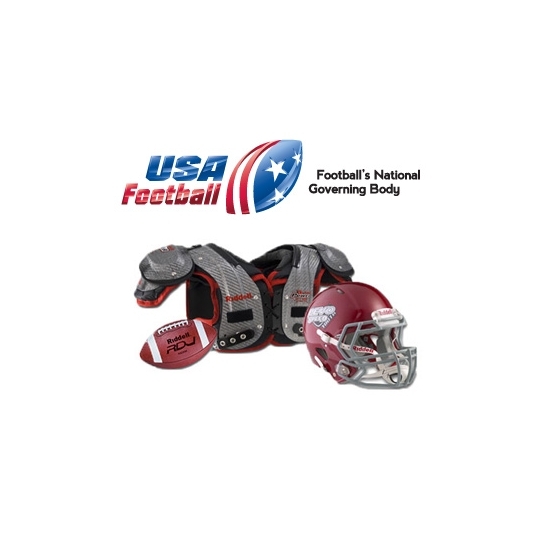 USA Football’s equipment grant program is made possible through the NFL Youth Football Fund, a non-profit foundation created by the NFL and NFL Players Association in 1998. USA Football, the sport’s national governing body on youth and amateur levels, conducts more than 100 football training events annually to further strengthen the game. USA Football members – coaches, game officials and league commissioners – reside in all 50 states. The independent non-profit is the official youth football development partner of the NFL, its 32 teams and the NFL Players Association and also manages U.S. national teams within the sport for international competition. USA Football is chaired by former NFL team executive Carl Peterson.